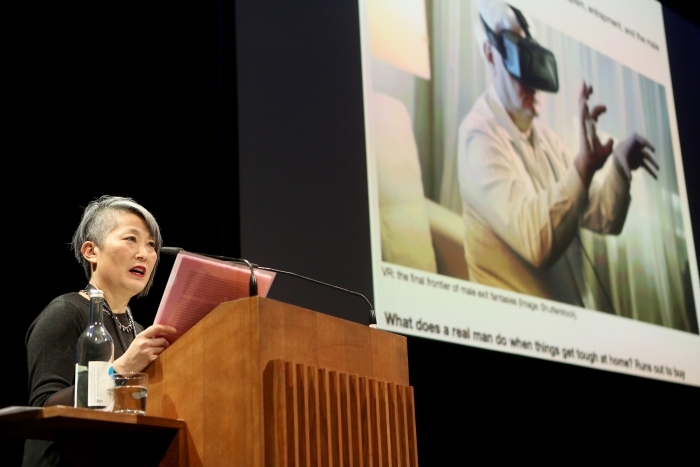 This talk addresses the reasons that so many virtual reality experiences attempt to reproduce the experiences of refugees, black women, prisoners, black men, animals, and other marginalized beings. I see these texts as part of larger anxieties about VR's white users' reluctance to listen to the voices of these beings, preferring instead to learn about them "first hand." I will also address forms of resistance such as the #listentoblack women" hashtag.